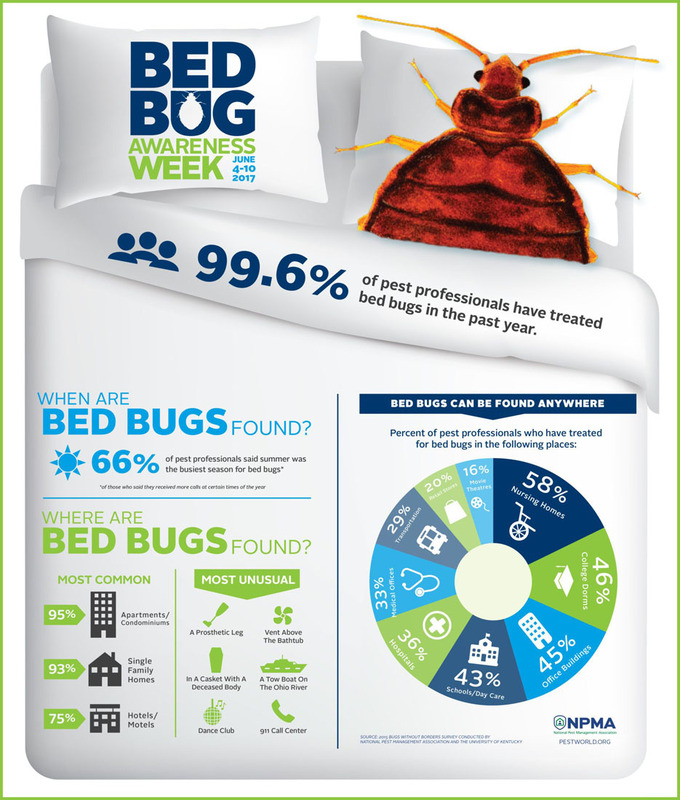 June 4 – 10 is Bed Bug Awareness Week, an annual observance by the National Pest Management Association (NPMA) to promote public vigilance against bed bugs and educate consumers about bed bugs and how to best protect themselves as we move toward warmer weather and embark on summer vacations. If you need to change rooms, don’t move to a room adjacent or directly above or below the suspected infestation. Wash all clothes – even those not worn – in hot water to eliminate any bed bugs and their eggs.